Mice tend to be a pretty subjective piece of hardware for most gamers, and when you factor in hand size, preferred features and button layout, it’s easy to see why. But among gamers, there was always one rule that seemed to ring true for everyone: never buy a wireless mouse to game with – at least not competitively. Now, I’m not here to put that old adage to rest, but I can safely say that it at least doesn’t apply to the Logitech G900 Chaos, a wired or wireless beast of a mouse that comes with an equally beastly $150 price tag. You wouldn’t guess it from a glance, but the Logitech G900 is an incredibly comfortable gaming mouse. Odd because it has an ambidextrous design. Regardless of which is your dominant hand, the mouse fits like a glove. Part of this is due to the fact that the mouse weighs in at just 107 grams. It feels more like an extension of your hand than an awkward device you have to sling around your mouse pad. Unlike other Logitech mice, the G900 doesn’t have a legacy mouse to look back on and borrow design cues from. However, you will notice familiar features. I feel that this is partly responsible for how comfortable the device feels in hand no matter how you hold it. Typically, ambidextrous mice tend to favor a design for left-handed gamers. But that’s not the case here since the mouse features a completely symmetrical design. So if it’s totally symmetrical then it must feature the same amount of thumb buttons on both sides, right? Yes and no. 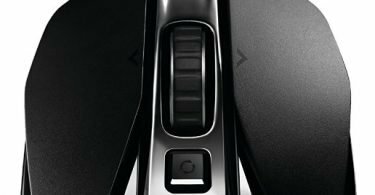 Depending on how you configure the mouse, the Logitech G900 can have between five and nine buttons. This includes four swappable forward and back buttons that attach to the mouse via a magnetic strip. If you’re right handed, you don’t have to worry about accidentally clicking the thumb buttons intended for left-handers. It’s configurable design allows you to simply remove them. Logitech is using a new pivot bar for the buttons with a mechanical spring. Meaning, there is no bending plastic when you click in a button. Clicking heads or denying creeps on the G900 feels like you’re opening and closing the door to a luxury German car over and over again. It feels heavy, purposeful and totally satisfying. Click latency was lightning fast, too. 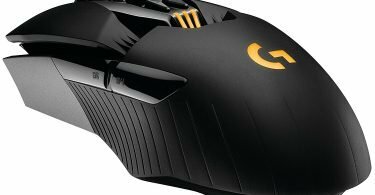 The G900 is giving rivals like the SteelSeries Rival 300 more than a run for its money. It looks aesthetically like many of Logitech’s other mice – futuristic and sleek. It’s a design some might adore but others, like myself, might find it a bit over designed. 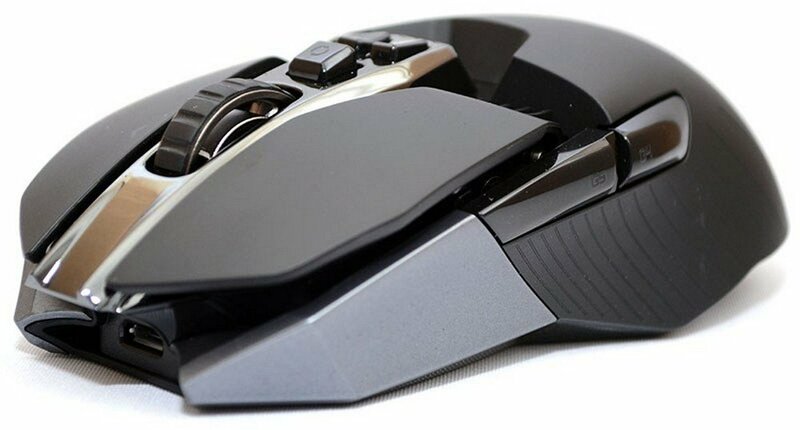 This mouse is sturdy and well built despite its light weight and swappable buttons. 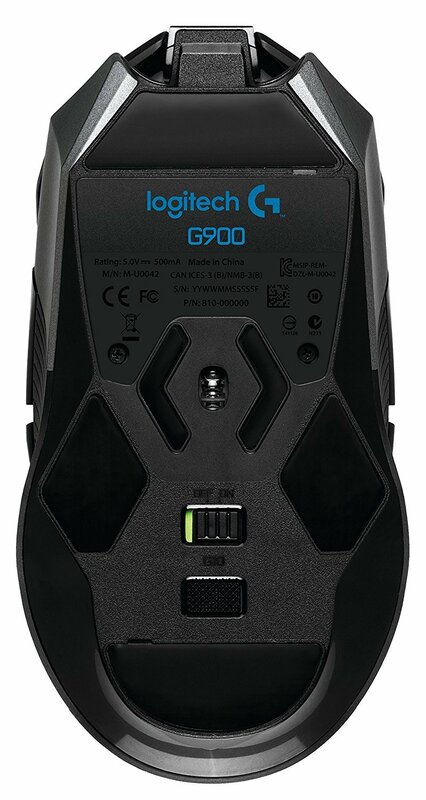 If, for whatever reason, you feel like you just can’t trust a mouse without a cord attached then the G900 has you covered. Wirelessly the battery takes about two hours to charge up and will last you between 24 and 32 hours of battery life. Additionally, you can just as easily connect the six-foot long braided cord to the mouse and play in wired mode. A dongle is also included which will increase the wireless range of the mouse. 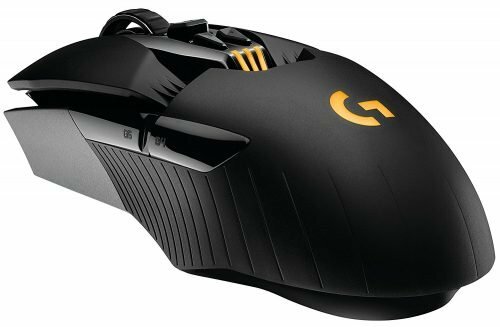 Packaged with the mouse is the Logitech Gaming Software, a peripheral program that gives you complete control over the G900. When the mouse is plugged in, Logitech’s software will automatically create mouse profiles for individual games. You can also program buttons, adjust DPI and play with the mouse’s RGP lightning. 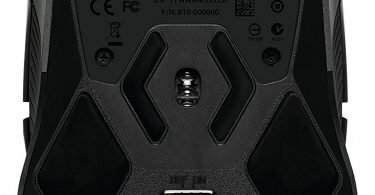 Speaking of DPI, the Logitech G900 is packing the Pixart PMW3366, which is one of the truest sensors out there and pushes 12,900 DPI. When you look at the Logitech G900 Chaos in a vacuum, it’s an incredibly attractive mouse. It has a sleek design, it’s customizable, wireless, lightweight, portable and sturdy. 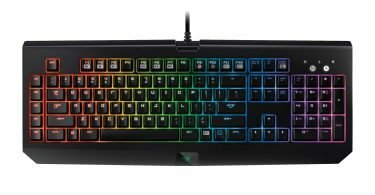 However, it’s also nearly twice the price of many top of the line wired mice, which makes it hard to justify the purchase for most. So if you’re in the market for one of the best designed mice around then the G900 fits the bill.